The Australian whisky industry has rapidly grown over the past couple of years and has established a formidable reputation globally. There is a deep interest in the category as David Vitale, Starward Founder found during his time in Los Angeles last year, presenting his Starward story, the Australian whisky profile as well as introducing people to the notion of wine cask whisky maturation – a slightly foreign concept in the Bourbon-saturated market. With over 200 distilleries in Australia (many producing whisky), the opportunity is ripe to build up the profile of Australian whisky abroad and Starward, together with a few other Australian distilleries are at the helm. "We ought to owe it to Bill Lark for the booming craft whisky distillery industry that we now see. Bill questioned the 1901 Distillation Act and lobbied the government for the Act to be amended so as to allow acquiring of the distillation licence with no archaic requirement for large volume distillation. Lark then became the first distillery to open in Tasmania since 1839." The story of Starward, on the other hand, began after David worked in a prominent Tasmanian distillery in 2007. David had set out to create a whisky that can bring together his love of food, craft beer, family and one that can reflect his hometown of Melbourne and that of Australia - from its culture to Melbourne's famed ‘four seasons in a day'. When we sat down with David back in early 2013, and toured the distillery in late 2013, Starward Whisky was then known as the New World Whisky Distillery (NWWD, and before that, Victoria Valley Distillery). The whole operation stemmed from an idea in 2004 with NWWD beginning its operations in 2007 and filling their first barrel at the beginning of 2010. At the time, David and his team had the vision to create a whisky that was "just like the country it is made in - youthful, rich and bright". 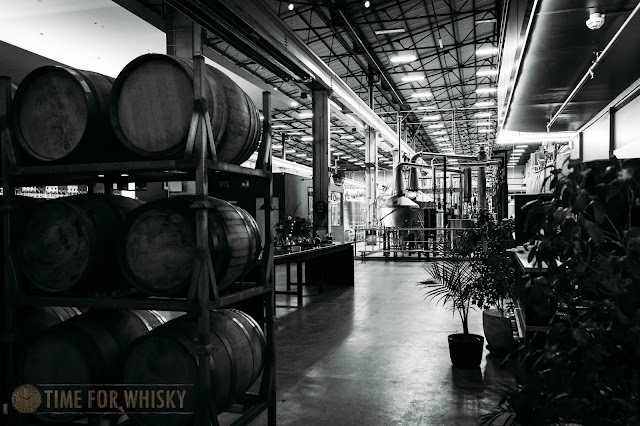 Although distilling whisky in Melbourne (initially near Essendon Airport and now at Port Melbourne) actually dates back to 1862, as a country we're not well-known for having a long history of whisky, a fact which has given NWWD the perfect opportunity to create something unique. This notion of whisky maturation is different here in Australia, as compared to Scotland or the United States. 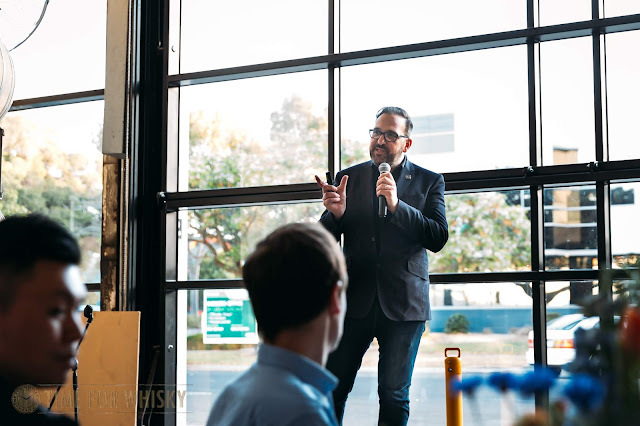 David believes that the difference is even more prominent in Melbourne with its weather complex and temperature differentials that can help mature whisky quickly and yet still produce a complex, flavourful and rich whisky. The same can be said for many craft distilleries dotted across Australia. Unbounded by any maturation rules, the Australian weather has been a blessing (sometimes a curse) in the influencing of whisky maturation here in Australia. The final whisky can vary in profile though regardless, it is both exciting and different. David's creation, dubbed 'Starward,' - a brand that is now synonymous with Australian whisky - is a whisky matured in Australian wine barrels for 3 “Melbourne Years” and was first launched in 2013. Following the launch, Starward was instantly recognised for its bold spirit and flavour, leading to it to become what is now the fastest growing Australian whisky brand, and one of the few Australian distilleries that can distil at scale. In developing Starward, David had to bring together brewers, ex-winemakers and fresh talents and the effort has seen Starward consistently commended for its quality and expressions. Fast forward to 2019 with the recent launch of Starward’s two new bottlings; Starward Two Fold and The Seafarer. 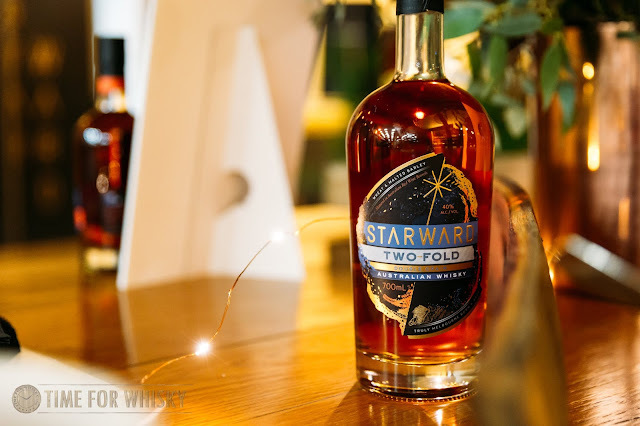 The former, Two Fold was a significant milestone for Starward as it is the first blended grain whisky to be launched in Australia and at the same time, priced at a point that makes it quite accessible. David is keen to drive the strategy to make Starward the whisky of choice at every Australian's dining table. He is also a believer that there is a place in the world for Australian craft whiskies - which have given him focus to grow Starward abroad, in particular most recently within the United States. Since launched, Two Fold has garnered quite a reputation and was recently awarded whisky of the year by the Oak Barrel (Sydney). The latter, the Sea Farer was launched in February 2019 and was borne out of a 225-litre French oak wine barrel filled with Starward and matured on the Queen Elizabeth’s ship deck for almost a year. The barrel experienced temperatures as cold as zero as it visited Helsinki, St Petersburg, Lisbon, Venice, Hong Kong, Penang and Cape Town. Temperature can be as balmy as 32 centigrade, as the barrel snaked its way across the globe over exactly 347 days. The journey for Starward and Australian whiskies has just begun (in the grand scheme of things) and distillers across Australia are now banding together to raise the profile of the industry and the uniqueness within and personally, I'm excited about what the future brings. Simple, clean and still tasty. A very different Starward release to their single malt bottling Nova. Whilst unmistakably blended, it is still enjoyable with lots of Starward classic flavours of vanilla, banana and berries. Nose: The nose is sweet and appealing. There is a mix of vanilla, banana, berries combined with a hint of citrus, malted cereals and a subtle hint of peat smoke. Palate: The palate is laden with honey, peaches, malt, white pepper, berries before becoming a bit tannic. Finish: The finish continues with a tannic, drying, medium long length. Thanks to Starward and Dialogue PR for inviting Time for Whisky to the Starward Two Fold launch.